This key ring is made from the bowl of a stainless steel spoon. 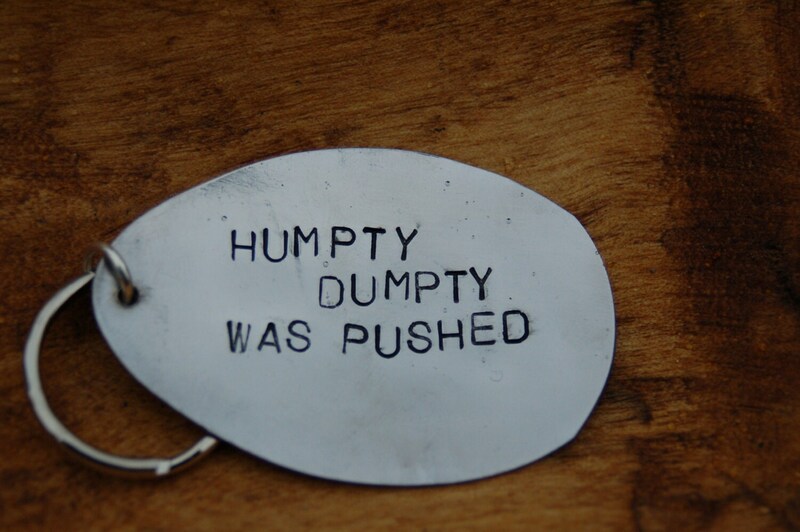 I hammer them flat then hand grind, and stamp them.I chose for this one is humpty dumpty was pushed.Please take not that these are made from old spoon so there may be some imperfections in the steel from their former uses..
Creative and Fun! Thank You! Great buttons, thanks so much! Really unique! I love it! Thank you! we ship items 7 to 10 days after payment has cleared. We also leave the same feedback as we receive.